For many in the birding community, Miami is a destination meant only for ticking off ABA-countable exotics such as Spot-breasted Oriole or Red-whiskered Bulbul. For others, it is simply a launching point to Everglades National Park or the Florida Keys. However, few realize that this flat, densely populated county boasts one of the highest list totals of any county east of the Mississippi. The warm, sunny climate beckons a wide variety of passerines, raptors, and shorebirds to spend the winter, inflating the species diversity to the extent that Miami-Dade can go toe-to-toe with counties in Texas and Arizona during this season. The Great Miami Winter Bird Count, an event that transpired over the course of four days from February 13-16, set out to record this diversity for the first time in an organized manner as part of the overall Miami Birding Wave project. 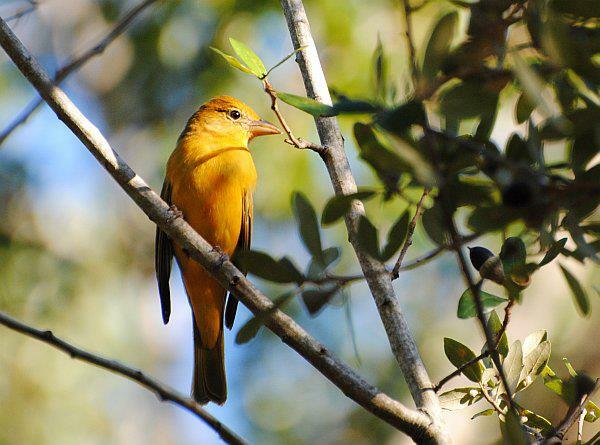 With the easy-to-use platform offered by the Great Backyard Bird Count, birders of all ages and experience levels set out to find, tally, and document as many birds as possible within the boundaries of Miami-Dade. It was truly heart-warming to see the local birding community participate with so much enthusiasm and fervor. It was great to see everyone really come together! As it turns out, every individual provided at least one new bird to the overall effort. One highlight came from Nico Salino, an up and coming young birder, who found the only Bonaparte’s Gull. This bird was a life bird for him! This is what the project is all about. 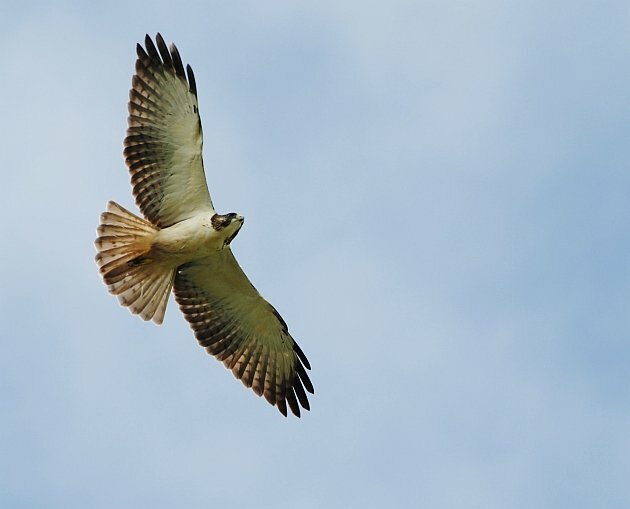 We recorded 17 Short-tailed Hawks this past weekend, a winter specialty in Miami-Dade. The final species tally for the four day blitz was 186 ABA-countable species, an impressive total in winter for any location in the United States. Shorebirds put on a good showing with a total of 18 species, despite the shrinking number and quality of sites offering adequate habitat. A Snowy Plover, a regional rarity, continued at Crandon Beach, while a Solitary Sandpiper in a lonely puddle at Lucky Hammock was a nice surprise. 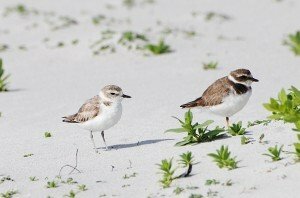 Although they breed on the west coast of Florida, Snowy Plover is a rare stray to this part of the state. Many sporadic and irruptive winter visitors from further north made an appearance in Miami-Dade this past weekend despite forecasts to the contrary, including small flocks of American Robin, American Goldfinch, and Cedar Waxwing. The relentless train of winter storms and heavy snow may be partially to blame. On the other hand, numbers and diversity of waterfowl were way down, signaling that many have already begun pushing their way back north. 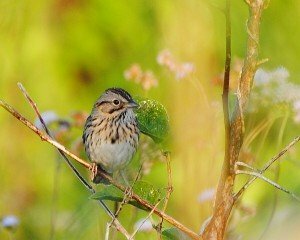 Song Sparrow is a genuine rarity in Miami-Dade. This Lincoln’s Sparrow is far more common. Several species, all more or less annual winter visitors from the western United States, also made an appearance: Western Tanager, Brown-crested Flycatcher, Western Kingbird, Yellow-headed Blackbird, and Rufous/Allen’s Hummingbird. A La Sagra’s Flycatcher, a Caribbean stray, continued at Charles Deering Estate. 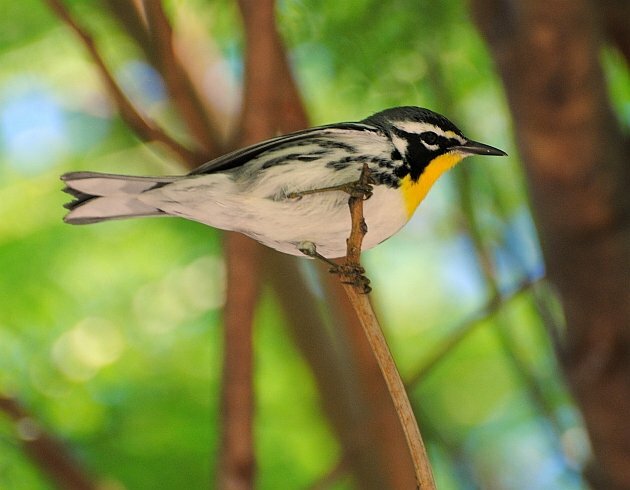 It was a banner winter season for warblers in Miami-Dade, with a total of 22 species seen during the course of the event (and we missed a few!). Highlights included singles of Blue-winged, Swainson’s, and Wilson’s, although the sheer number of Northern Parula (194) was also pretty impressive in of itself. There were double-digit numbers of 14 warbler species in all, hinting that southeast Florida might be a more important wintering destination for warblers than we might realize. With the amount of enthusiasm and support for this year’s inaugural count, Miami Birding Wave is already considering how to make next year’s event even better with more strategy, more involvement, and more fun. Can we hit 200 ABA-countable species in four days next year? We also hope to inspire and invite other counties in the United States or areas elsewhere in the world to organize their own bird count events to energize and bring together their own local birding communities. An amazing result for the first year! Can you describe the geographical boundaries of the Count, Carlos? Was it the county, the city, or somewhere in-between?